Official Licensed Miami Dolphins Metal Keyring. 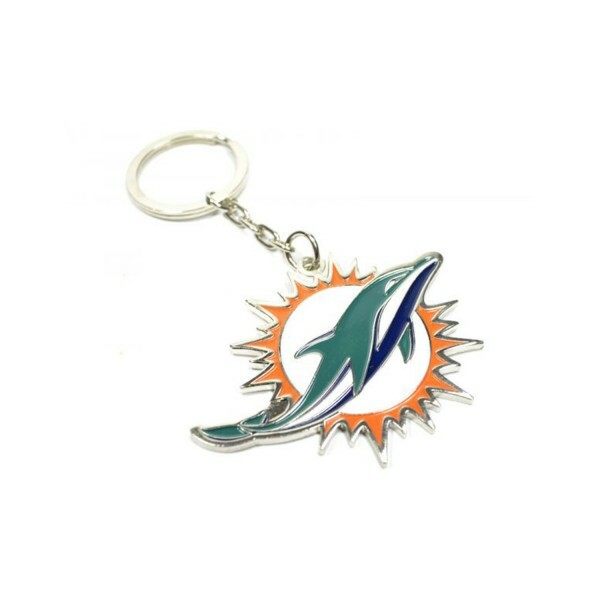 This Miami Dolphins Crest Keyring is an official product produced under licence for NFL Miami Dolphins Club and is an ideal gift. The Miami Dolphins keyring features a chain link with a split-ring at the end making it easy to affix to your keys and is a superb way to show your support for Miami Dolphins in a subtle and stylish way. The Keyring has the famous club crest painted on the front.